Do you think you're ready for this jelly? We taste our way through a baker's dozen of pork pies to see which fall flat and which are made of the upper crust. 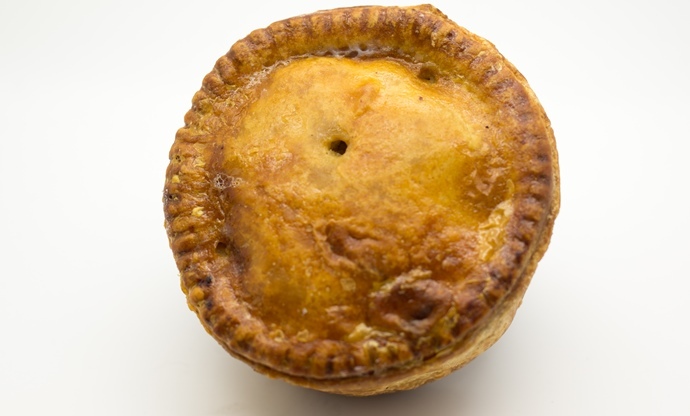 Whether you love them or hate them, pork pies are one of those iconic delicacies that are as British as tea, Sunday roasts and fish and chips. What makes them different from your bog-standard pie is the casing; a hot water crust pastry that combines lard, flour, salt and boiling water to create a dense, rich mixture that bakes firm and is easy to shape. Inside, the pork filling is surrounded by a savoury jelly called aspic, made from stock and the reason why some people find pork pies less than appetising. However, for those of us who have fond memories of pork-pie-fuelled childhood picnics and love nothing more than working through a pack of mini Melton Mowbray pork pies for lunch, they’re a real treat. It’s actually quite easy to make your own incredibly delicious pork pies at home ­(check out our recipe here), but there are so many skilled producers out there it’s worth sampling their wares too. 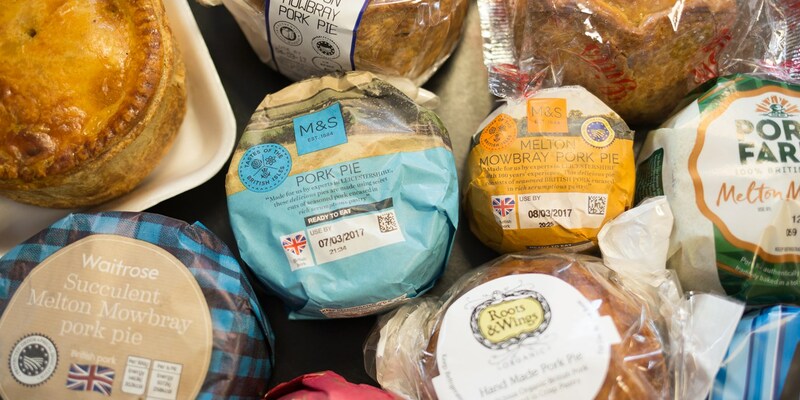 We tasted our way through pork pies of all shapes and sizes to find the best – here are our results. Standing out from some of the industrially-made pies is this offering from Gill’s, made in Wolverhampton by F A Gill. It’s ‘hand-finished’, which can mean it’s been painstakingly made from scratch by a grandmother in a farmhouse or briefly crimped together on a factory line. Either way, it has a nice homemade look to it, and it’s a decent size for the price. The meat is good quality – no grey mush here – and it isn’t over-seasoned, with just enough pepper to counteract the fat. The pastry itself was moreish and rich, with a nice firmness to it. While a few on our tasting panel found this award-winning pie a little too salty, the majority were big fans of the meat, which actually tasted of roast pork instead of just having a generic meatiness. That’s probably because it’s made by Poxons Butchers (a Q Guild member, placing them amongst the best butchers in the world), another Wolverhampton-based business that proves while Melton Mowbray might be the spiritual home of the pork pie, the West Midlands clearly has a fondness for them, too. The pastry was thinner and less firm than others on the table, but this wasn’t a bad thing, just a different approach to the art of pork pie production. 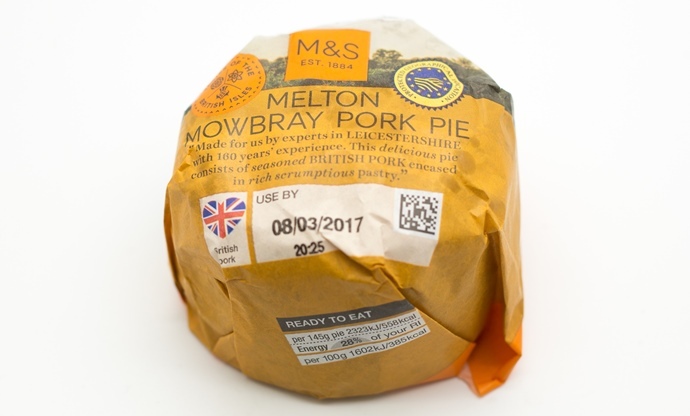 Now to the best of the supermarket pork pies – M&S have a few different ones on offer, but this was the one we found tasted the nicest. 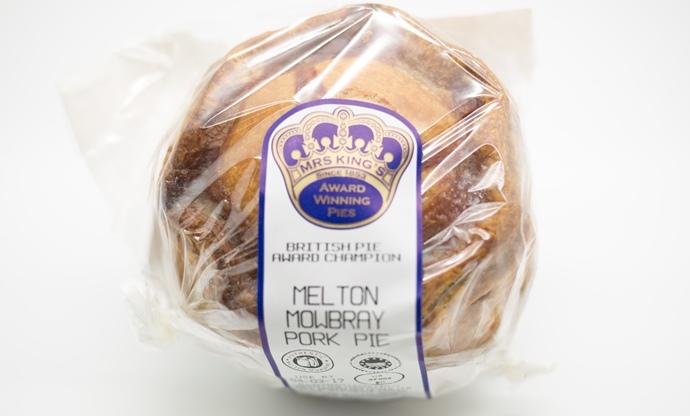 Made in Melton Mowbray to EU-designated standards that give it PDO protection, this is exactly what you expect when biting into a pork pie; porky, almost bacon-like meat with a kick of pepper, a thin coating of jelly and a crisp, fatty pastry that holds its shape when cut or bitten. Size-wise, it sits somewhere in between a mini and a sharing pie, so you can devour it on your own for lunch without overdoing it. 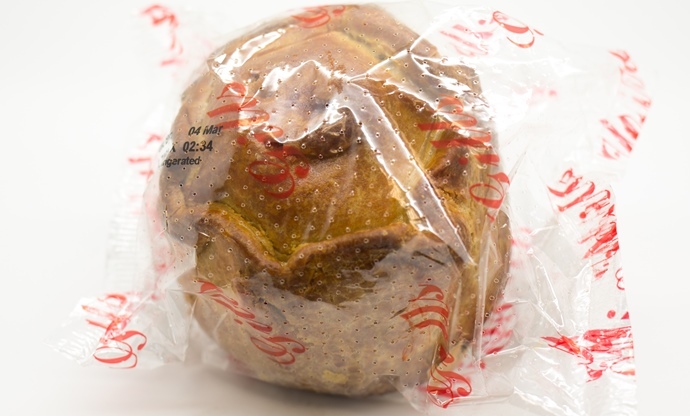 There are pork pies, and then there are pork pies – this beauty falls into the latter category. Looking as regal as its name implies with a pastry at least twice as thick as anything else on the table, cutting this pie in half reveals some serious treasure. The pork is coarsely chopped and lightly seasoned, meaning the meat is full of flavour, brimming with porkiness and not overly peppery. There is quite a bit of jelly inside, which might put off the aspic-averse, but it really adds to the overall flavour (some of the tasting panel said they’d be happy to eat a bowl of it, but that might be taking things too far). Without question, Mrs King is the queen of pork pies.